This is painting number 5. 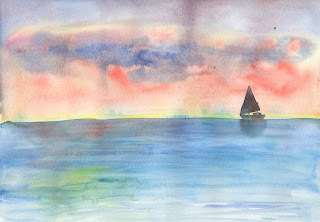 A watercolor of a sailboat and the sun setting. Played with color and washes. This is one I would not have shared if not for this challenge! I am glad that February is a short month. 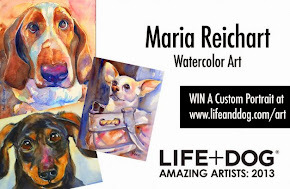 Courage, Maria! We all have made paintings we'd rather not share - its just a part of the learning process. I still paint duffers every now and then! Thank you, Maria. As I said, I HAD to do it, knowing I could easily ruin a month's work. but it turned out well, and I thank you for your good and most encouraging compliments! I love this picture! It might not be your favourite, but its one of mine!